April 16.... Water temps reached the 70s this week. Fishing is becoming more of a summer pattern. Good catches are coming while wading and while drifting. The picture attached was from a 25 boat group we hosted. We caught good fish despite adverse conditions. 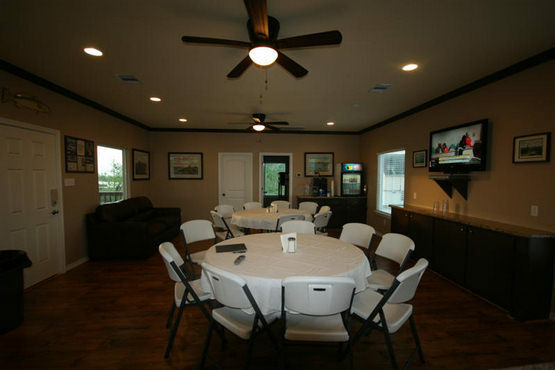 We still have a couple of houses available for the Oilman's Tournament. Watch my middle coast report weekly on Texas Insider Fishing Report on Fox Sports Southwest. Call, text or email for fishing dates and/or lodging. Hope you enjoy your holiday with family and attend church Sunday. Another great week of fishing. It's chilly again, but it will be gone in 48 hrs. We will work the deep channels early this week with soft plastics then get back to drifting in the bays. Wading has been good in guts and sloughs on Down South Lures and MirrOlure Soft Dines. We have boats available during the week and a couple of boats open for Saturday April 13. The Texas Insider Fishing Report on Fox SportsSouthwest kicks back off this week. Tune in Thurs-Sat for my middle coast report. 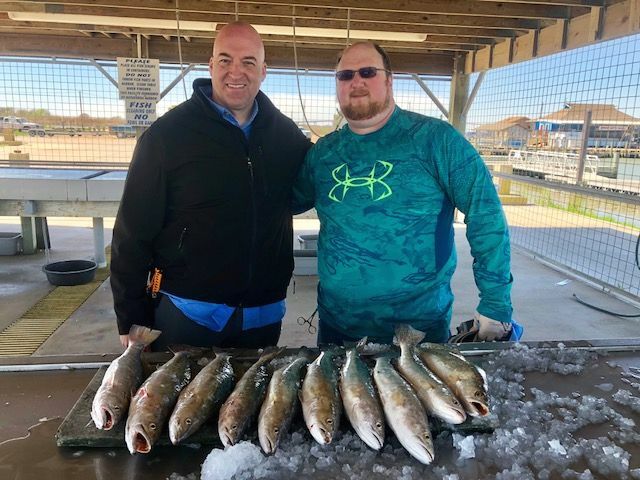 Matagorda Bay coughed up some beautiful trout this week with warmer temperatures. We caught and released multiple 6-8 pounders while drifting over deep shell. We also took quick limits in West Bay while working over deep rocks. We still have a few weekends open through April, including boats open this Friday and Saturday. 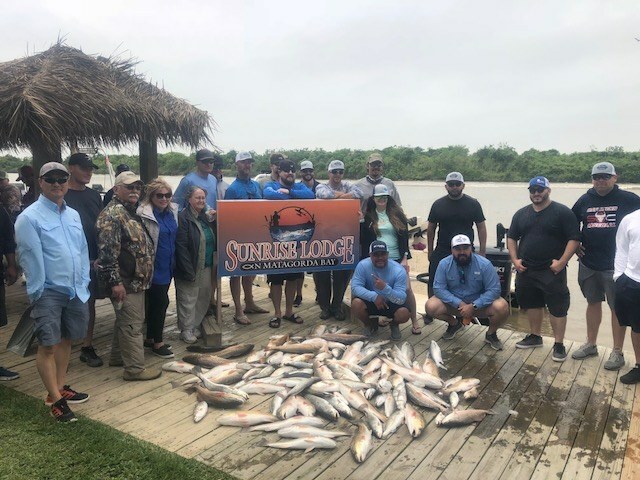 If you are making plans for the 2019 Texas Oilman's Tournament, we have some new properties that are available for the July 18-20 tournament. The sun is out and March will be here by the end of the week. It has been a dreary winter but our fishing has remained very good. We have had some great days drifting and wading for trout and redfish on Down South Lures, MirrOlures and Bass Assassins. Most school's Spring Break runs the week of March 11-15 and we will be running both morning and afternoon trips to try to accommodate everyone. We will be at the Houston Fishing Show at the GRB March 6-10. Come by and see us and talk fishing. If you need new tackle come by and we can point you in the right direction with the gear we use everyday. 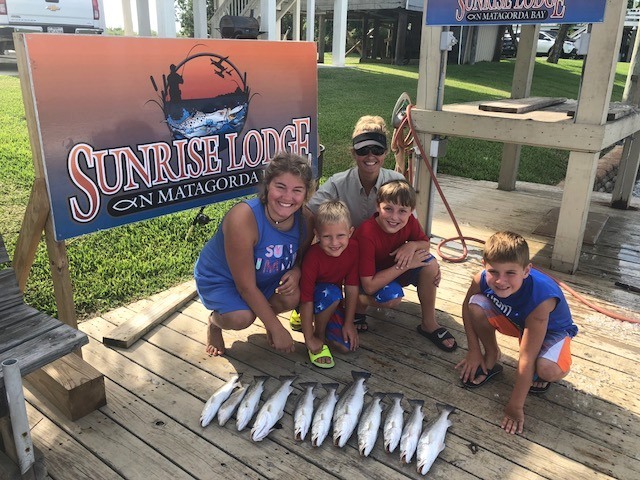 If you want up to date reports follow us on Instagram @matagordasunriselodge or on Facebook @bink grimes. It's a little warm for November but forecasts call for chilly weather by the end of the week. It hasn't mattered to fish or fowl. It has been great. Our fishing is very consistent but many of our guides believe we will see even better catches after the cold front this weekend. Duck season opened this weekend and we have scored limits every hunt. Again, it has been good, but will get even better after the cold front. We have a days available and a few rare weekend dates for duck hunting remaining in November. The first split of duck season ends Nov.25. Most of the kids will be out of school the week of Thanksgiving so make plans for a holiday hunt or fish. Follow our catches and hunts on Facebook and Instagram daily. We are in cast and blast mode for another week then it will be fishing full time for the month of October. We are already seeing signs of the fall and fishing has been wonderful. 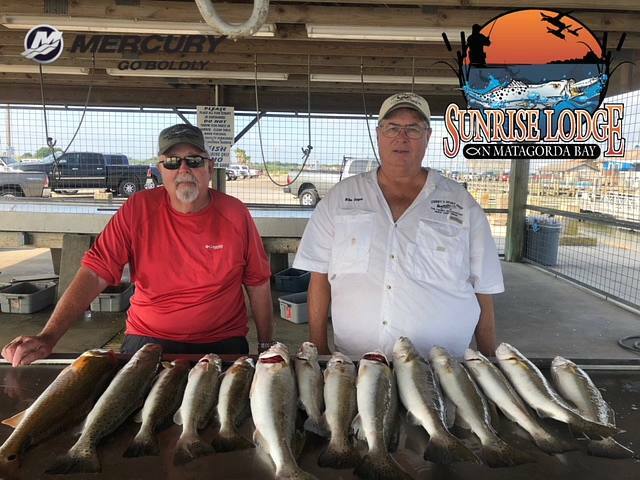 Congrats to Team Sunrise Capts Glenn Ging for winning the Matagorda Bay CCA Guide's Cup and Tommy Alexander for coming in a close second. We are very proud of our veteran guides. Teal season runs through Sept 30 and this weekend we saw an influx of ducks. 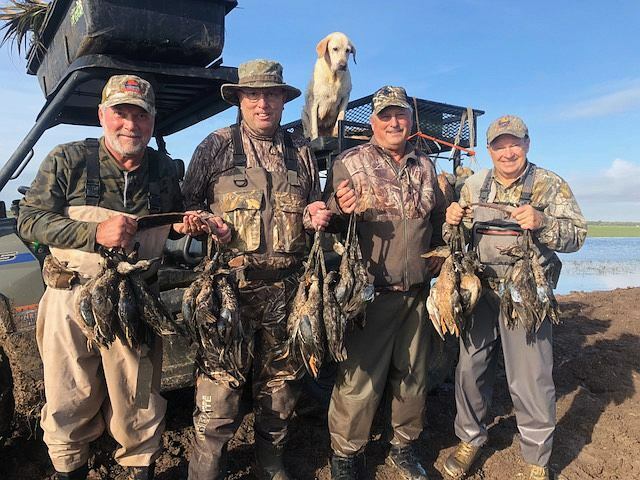 Regular duck season opens Nov.3 and we have a few dates left in November to fill, including a spot of two opening weekend. Follow our reports daily on Instagram and Facebook. 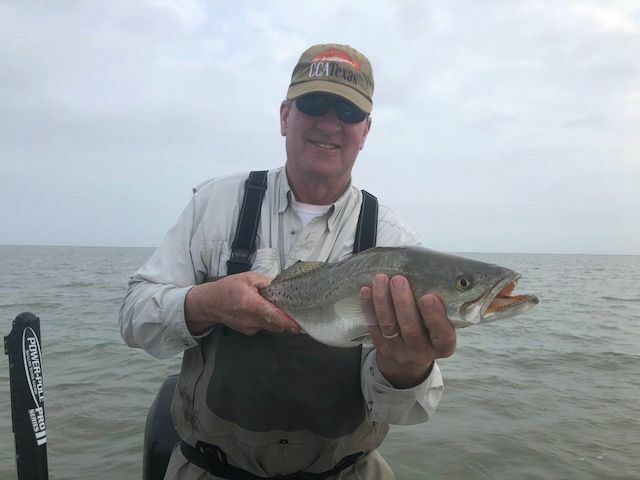 EAST MATAGORDA BAY: Trout are good for drifters on live shrimp, Gulps and DOA Shrimp over humps and scattered shell. Trout and redfish are fair to good on the shorelines for waders tossing small topwaters and plastics. Redfish are good in Lake Austin and on the north shoreline. 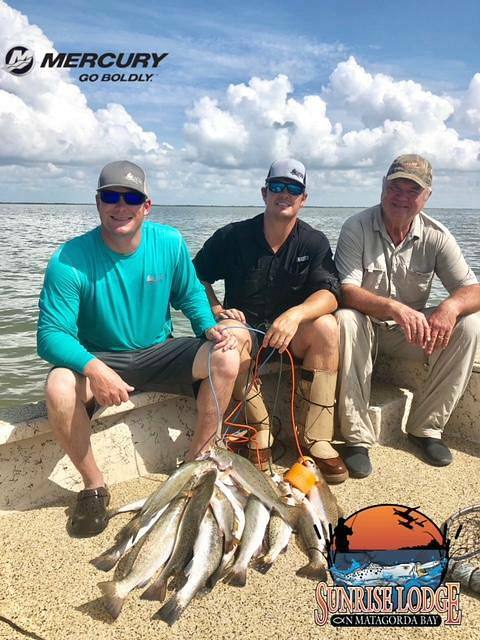 WEST MATAGORDA BAY: Trout are fair on sand and grass humps on soft plastics and topwaters. Redfish are good on live shrimp and topwaters in Oyster Lake, Crab Lake and Shell Island. PORT OCONNOR: Bull redfish are good in the surf and at the jetty on natural baits. Trout and redfish are good for waders and drifters working the back lakes with live shrimp and DOA Shrimp. ROCKPORT: Redfish are good on mullet on the Estes Flats and around Mud Island. 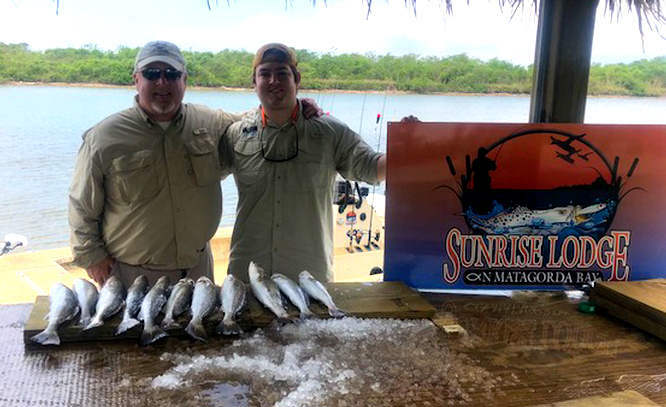 Trout and redfish are good in the back of Allyns Bight and schooling. 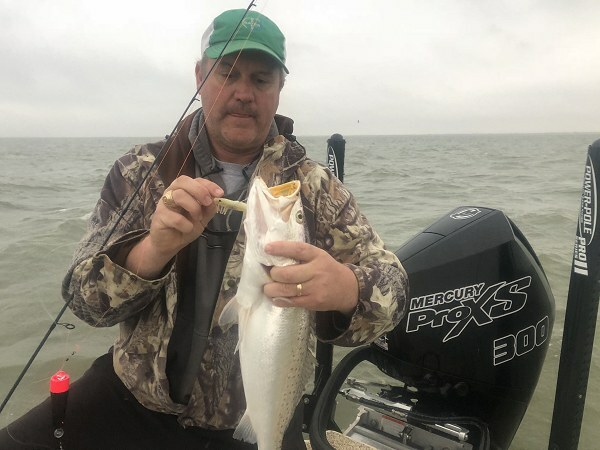 PORT ARANSAS: Trout are fair around Super Flats and Mud Island on topwaters. 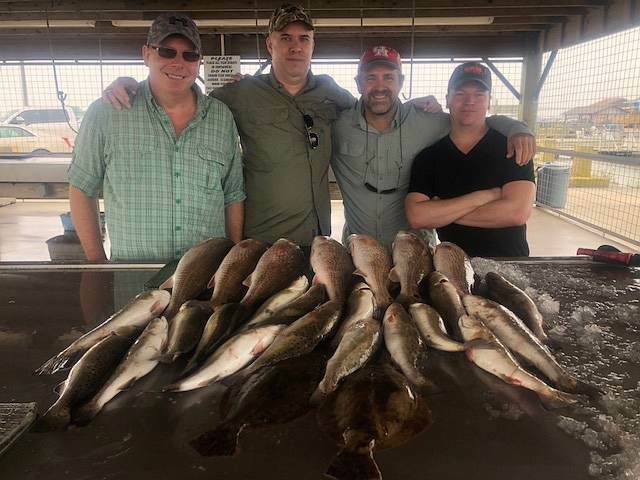 Redfish are fair at East Flats and Shamrock Cove on topwaters and plastics under rattling corks. 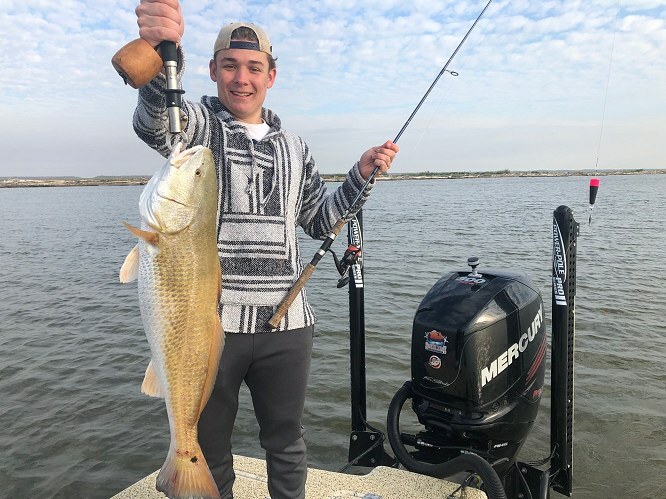 CORPUS CHRISTI: Redfish are good on the shallow flats on gold spoons and small topwaters. Sand trout and croakers are good in the channels on fresh shrimp. 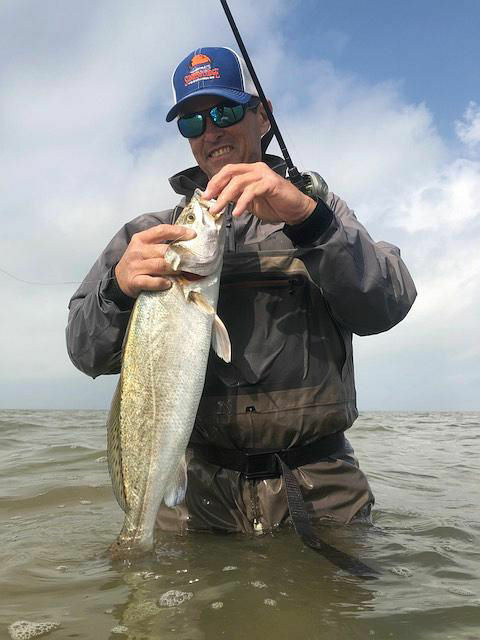 BAFFIN BAY: Trout are good on topwaters and plum plastics around rocks and grass. Redfish are good in the Land Cut on live bait. PORT MANSFIELD: Trout are fair to good around East Cut. Redfish are fair to good while drifting pot holes on topwaters and soft plastics under a popping cork. 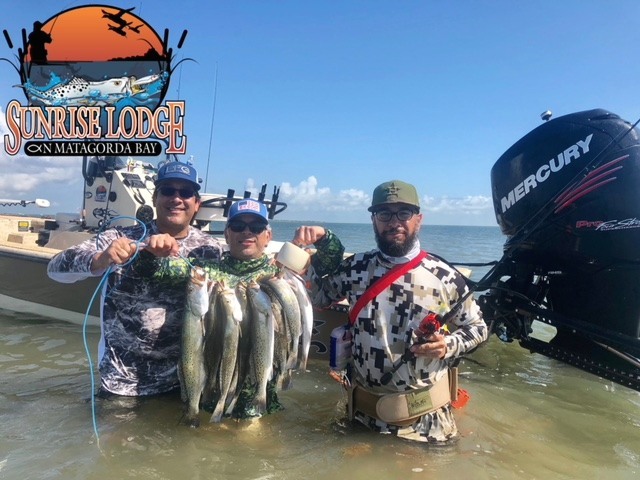 SOUTH PADRE: Trout, redfish and snook are fair to good on the flats on DOA Lures and live bait. Tarpon and bull redfish are fair to good around the jetty. PORT ISABEL: Redfish are good at Gas Well Flats and in South Bay on Gulps. Trout and redfish are fair to good while drifting sand and grass flats on live shrimp and Gulps under popping corks. 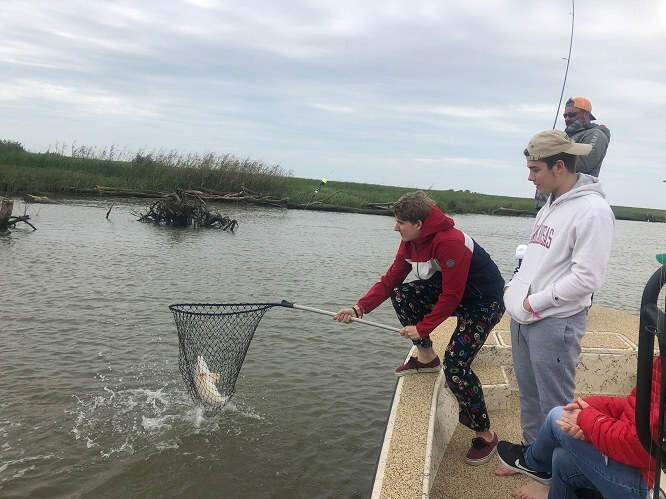 NORTH SABINE: Redfish are good in the marsh with high tides. Tides are well above normal. Drifters have worked slicks for trout and redfish on plastics and topwaters. 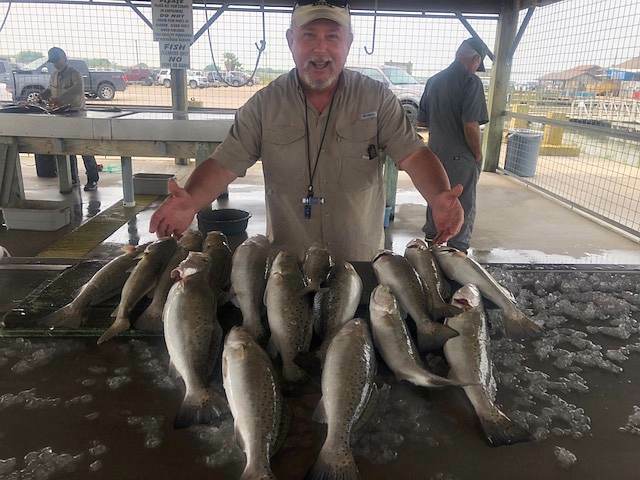 SOUTH SABINE: Trout are fair to good under birds and pods of shad. 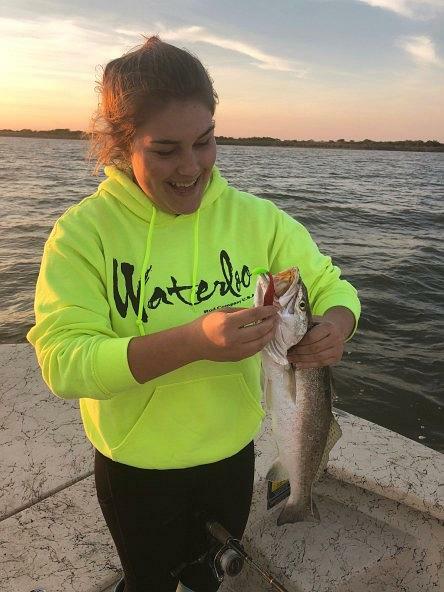 Trout are good at the jetty on live bait and topwaters. Bull redfish are good at the jetty. BOLIVAR: Trout are good on the south shoreline on topwaters and soft plastics. 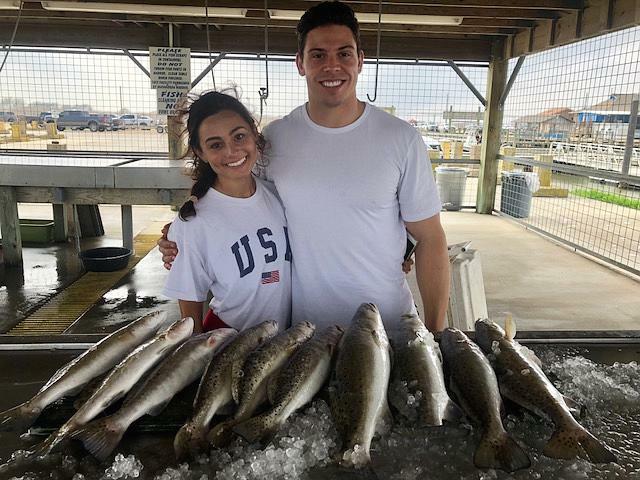 Trout, bull redfish , black drum, sand trout and redfish are good at Rollover Pass. TRINITY BAY: Trout are good for drifters working pods of shad and birds. Redfish are good on live bait around the reefs. Redfish are good on the north shoreline on gold spoons and small topwaters. 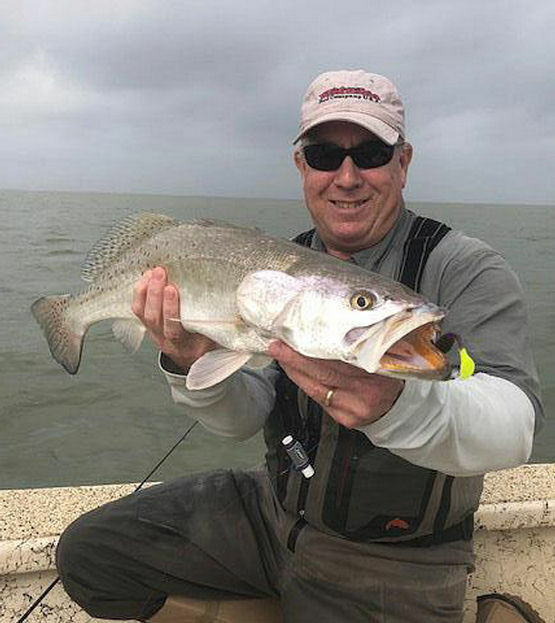 EAST GALVESTON BAY: Trout and redfish are good on soft plastics while working slicks and mud boils. Whiting and sand trout are good on the edge of the Intracoastal on fresh shrimp. Trout are good for drifters on plum plastics. 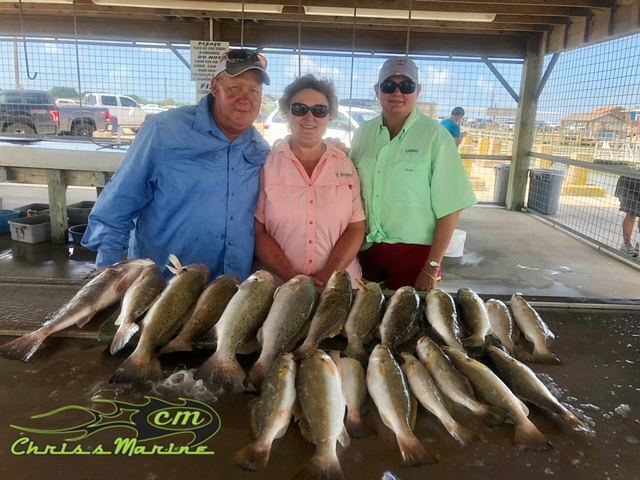 WEST GALVESTON BAY: Trout and redfish are good in the back lakes on live bait. Bull redfish are good in the surf and at San Luis Pass on crabs and mullet. Sheepshead, redfish and black drum are good at the jetties on shrimp and crabs. 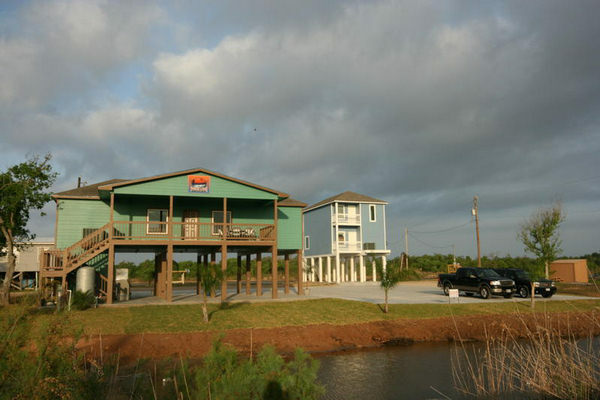 TEXAS CITY: Sand trout and Gulf trout are good in the channel on shrimp. Redfish are fair to good in Moses Lake on crabs and shrimp. FREEPORT: Bull redfish are good on live bait and crabs on the Surfside beach. Black drum and redfish are good on the reefs. Bull redfish are good at the jetties. Aug 13 -- Tides finally showed up and brought new fish in from the Gulf. It was a good week for drifting over deep shell in East Bay. We released multiple big trout and enjoyed bonus large sand trout that are excellent tablefare. Redfish action in West Bay picked up with the incoming tide. Teal season begins in a month an already there are a few showing up. We should see an influx in the next 10-12 days with the forthcoming full moon. The season runs Sept. 15-30. 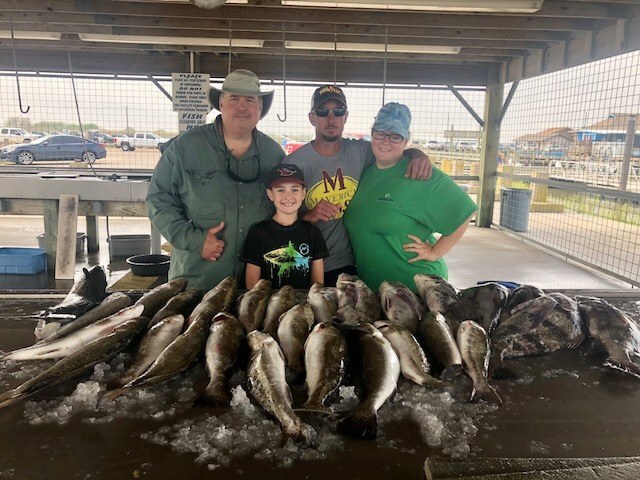 July 23 -- Fishing has been pretty steady even with stiff southwest winds and warm temps. The good news is winds are forecasted light for the rest of the week at 5-10 which might give us a shot at the surf again. Lots of redfish have been caught while drifting and waders have scored trout on soft plastics. This time of year we leave early and catch them before it gets too hot. The kids will be back in school in less than a month. Get them out one more time. Teal season runs Sept.15-30 and prospects look good. Dove season opens Sept. 1 and whitewings are already showing in force. July 9 --- Winds have been light over the weekend which has allowed us to finally get in the surf - and, it was good. We caught limits of trout on MirrOlure She Dogs and Bass Assassins and Down South Lures while drifting. We have also been catching while wading with the same lures. Teal season opens in about 60 days and the recent rains have helped habitat. Some bluewings will begin showing in less than 30 days. Ought to be another good year. Follow our catches on Facebook, Instagram and weekly on Texas Insider Fishing Report on Fox Sports Southwest. June 25 --- The rain last week was welcomed. Some areas received 8-12 inches. We needed it, especially for our duck properties. Our bays needed it as well. When the weather cooperates the fishing has been very good. When the wind blows we work for them. Don't let the heat scare you - we are leaving early and getting back before you cook. Teal season is about 75 days away. The season runs Sept 15-30 and we have a few spots open on weekdays from Sept.24-28. Follow our catches on Facebook, Instagram and weekly on the Texas Insider Fishing Report on Fox Sports Southwest. June 11 -- Had a great weekend at the lodge with the Blast and Cast Ministries Team and about 52 men. Check them out on Facebook or on the web. They are doing great things for the Lord. We have been beating the heat by getting out early and getting off early. Wading has been really good on topwaters and Bass Assassins and Down South Lures. Follow our catches on Facebook and Instagram and weekly on the Texas Insider Fishing Report on Fox Sports Southwest. June 4 -- One of my favorite months to fish is June. 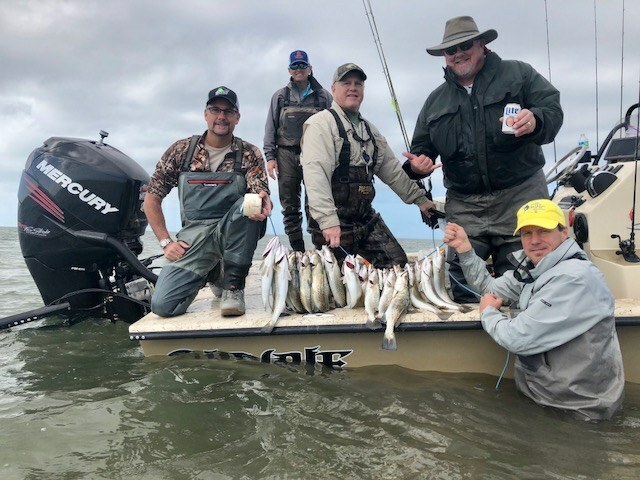 Weather patterns begin to stabilize and we catch fish on topwaters wading and have a chance at a big trout while drifting. School is out and time to get the kids on the water. We have a few days open this week, including a rare Friday. Teal season runs Sept.15-30 this year and we have a few dates left. Hard to think about ducks in June but we will be shooting bluewings in about 90 days. Follow our catches on Facebook, Instagram and weekly on the Texas Insider Fishing Report on Fox Sports Southwest. May 21 -- Winds kicked up a bit this week and made us work a little harder. The good news is there are still fish to be caught even when the wind blows off your hat, as the pictures attest. Winds are forecasted to be moderate this week and the weather traditionally stabilizes in to June. Check out the nice 8-pound trout caught this week while drifting, and the good stringers caught while wading. Follow our catches on Instagram, Facebook and weekly on the Texas Insider Fishing Report on Fox Sports Southwest. May 13, 2018 -- It's beginning to feel like summertime and we are already fishing some of our summer patterns. Limits of trout were caught this week on topwaters, Bass Assassins and Down South Lures. Forecasts this week call for lighter winds which should make it easier to catch fish from the boat while drifting. Follow our reports on Facebook, Instagram and weekly on the Texas Insider Fishing Report on Fox Sports Southwest. Forecasts call for light winds this week. The surf was green to the beach and flat at the time of this writing.Last week we actually caught more fish on the days the winds were blowing the hardest. Wading with topwaters and soft plastics have been good. When the weather is consistent like this week all options are on the table. 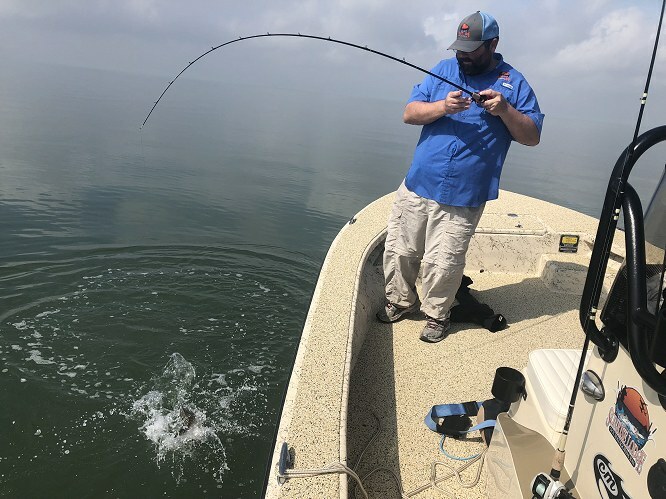 We have boats available so don't hesitate to call or text, even last minute.Follow our reports on Facebook, Instagram on weekly on Texas Insider Fishing Report. Spring catches have been pretty steady despite winds from every direction. The forecast this week calls for winds in the 5-10 knot range, which is breath of fresh air. Our bays look good and are full of fish. We have an opening for multiple boats on Friday May 4. We had a late cancellation and Friday's are popular so if you are interested give us a call or text. Follow our reports on Facebook, Instagram and weekly on the Texas Insider Fishing Report on Fox Sports Southwest. As is always the case in spring, you deal with the ups and downs of weather. 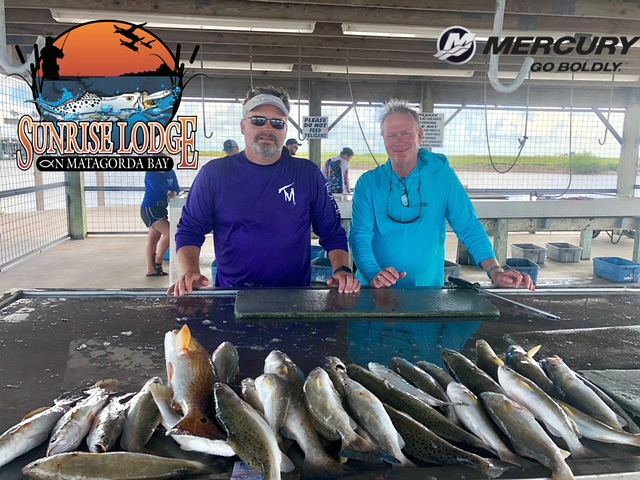 We have hid from the winds on those cold front days and managed admirable catches of trout, redfish and black drum. When the water gets just a hint of green the fish have responded on soft plastics and live shrimp. Follow our catches of Facebook, Instagram and weekly on the Texas Insider Fishing Report on Fox Sports Southwest. Water temps reached 70 degrees for the first time in a month. 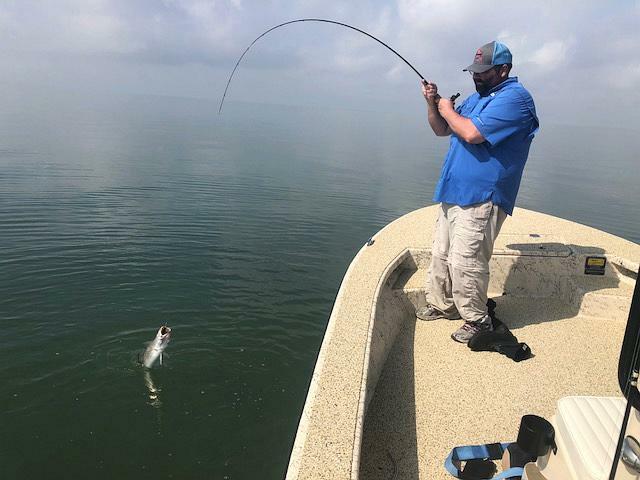 We have been catching trout and redfish while wading with soft plastics and look for the topwater bite to get better this week. 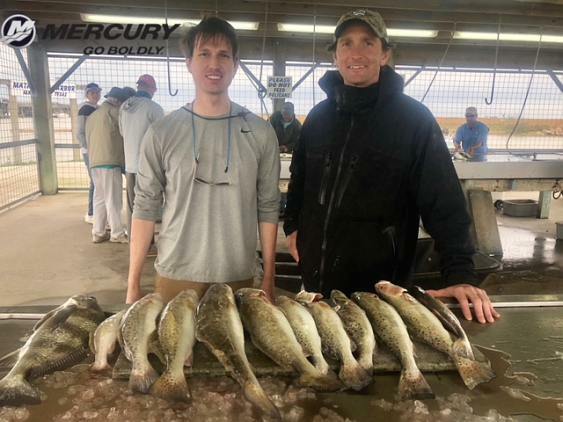 Our boat-fishing trips have yielded mixed bags of trout, redfish and black drum on live shrimp. We have boats available for this week, including Good Friday. We hope you attend church Easter Sunday. The past week might have been the best Spring Break of fishing I can remember. Wading or drifting, fish just wanted to bite. We are very blessed see our fishery in such great shape.Follow our catches daily on Instagram and Facebook. The Texas Insider Fishing Report cranks back up on Fox Sports Southwest on April 5. I'll be back this year covering the middle coast. 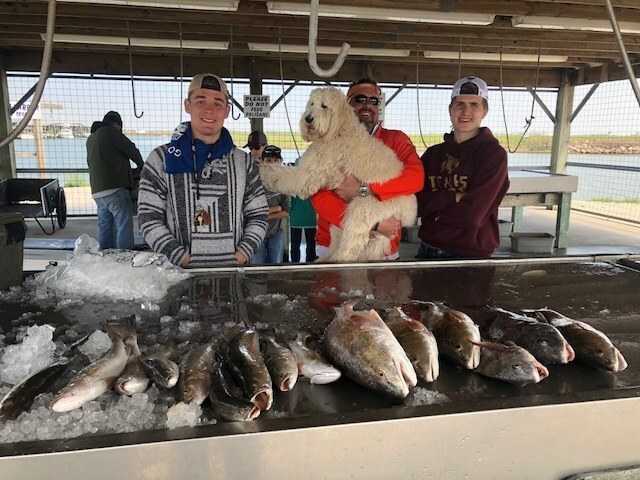 It's Spring Break and vacationers have hit Matagorda. We are running morning and afternoon trips for trout and redfish out of the boat and wading. It has been a great 2018 and we have been catching most of our fish on soft plastic Bass Assassin, Down South Lures and ChickenBoy. Follow our catches on Facebook and Instagram. It was a great week for big trout while wading or fishing out of the boat with Bass Assassins and Down South Lures. Water temps reached 72 this weekend and that hasn't happened in Feb. in a long time. Spring is here and Spring Break is only two weeks away. Get the kids off the concrete and catch a fish. We have boats and lodging available. This week we will be at the 43rd Houston Fishing Show at the GRB Wed-Sunday. Stop by and say hello and/or get on the calendar for the coming months. It's going to be a good 2018. We ditched the long sleeves and coats this week and actually got a little color on our skin. The bay has been beautiful green and we have caught fish drifting with Bass Assassins or wading with Soft Dines. We released some good fish over 6 pounds this week and lost one that looked to be over 10 pounds. Hopefully spring will stick around.We will be at the Houston Fishing Show Feb.28-Mar.4 at the GRB. Come by and say hello.Follow our catches on Facebook and Instagram. This is the first report of 2018 via email. Most of January we were duck hunting, but now we are back to fishing. It has been pretty solid drifting or wading. Most of the drifting has been in the river and over deep shell in East Bay. While wading, we have been working guts with the low winter tides with MirrOlure Soft Dines, Bass Assassins and Down South Lures. Follow our catches daily on Facebook and Instagram. Come see us at the Houston Fishing Show Feb.28-Mar.4 at the GRB.